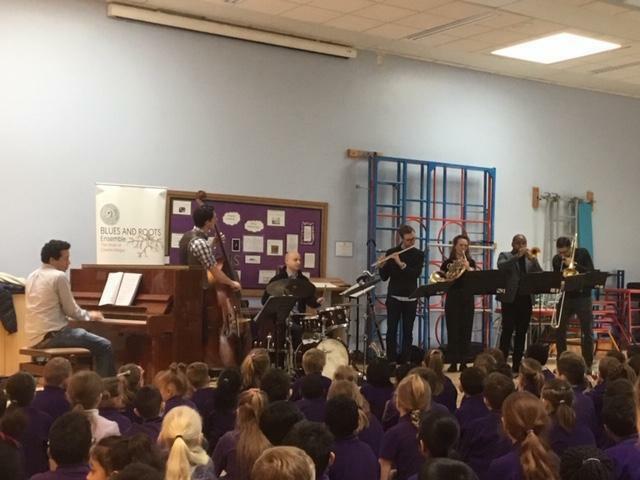 On Wednesday 6th March, The Vine had a very exciting and inspiring visit from The Blues and Roots ensemble, a group of jazz musicians. 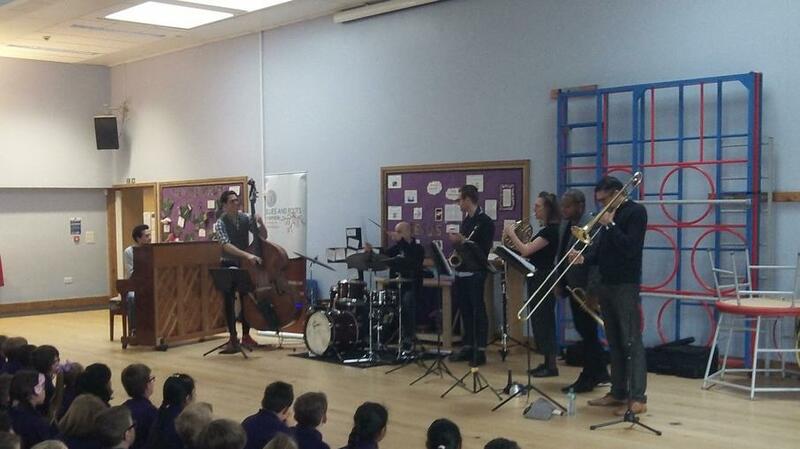 Their music is inspired by Charles Mingus (1922 – 1979), a very talented, American jazz performer and composer. 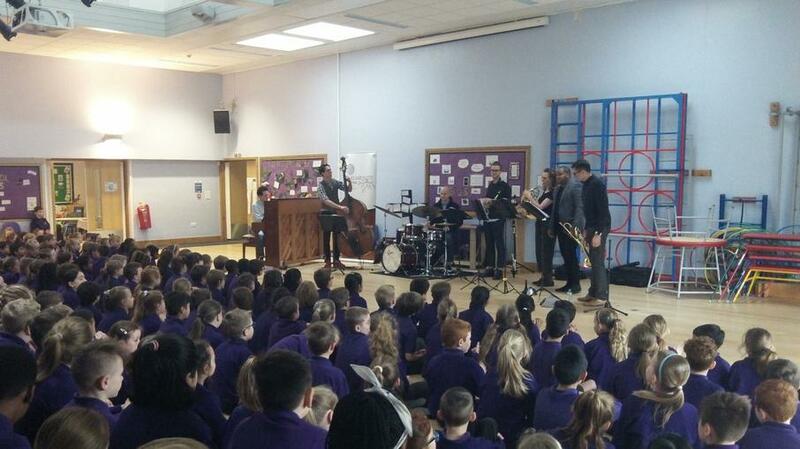 The Blues and Roots ensemble first performed an incredible concert to KS2 in the hall. 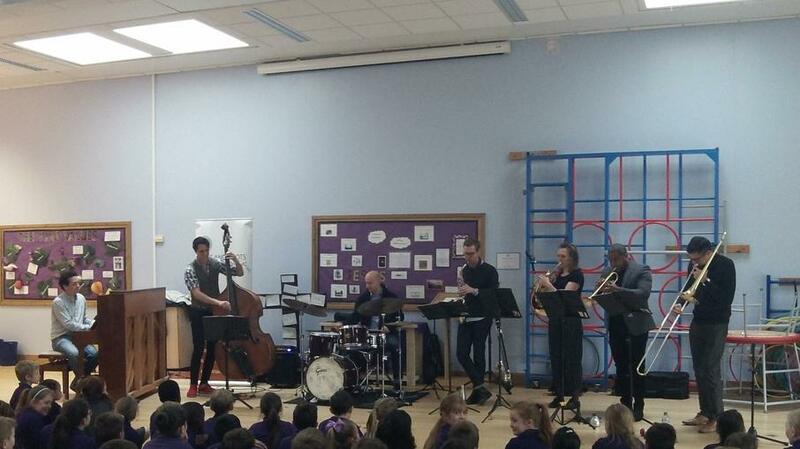 We enjoyed listening to a range of jazz music and learning about the history of this style of music. 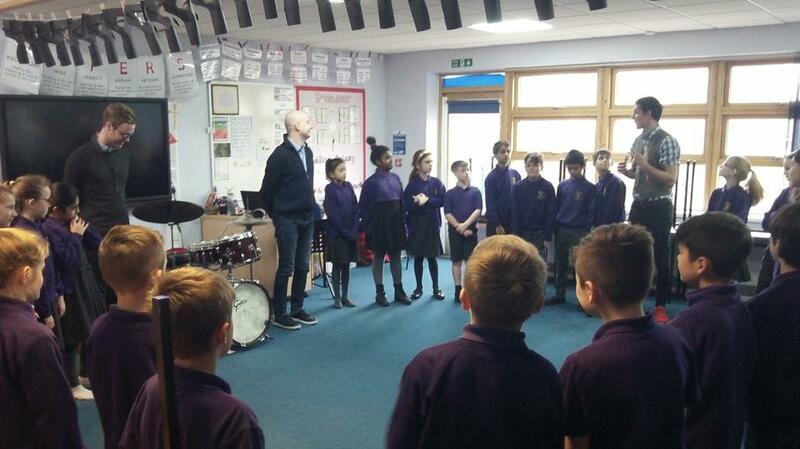 Year 5 then engaged in workshops with the musicians where they explored the music further and even composed their own jazz piece. 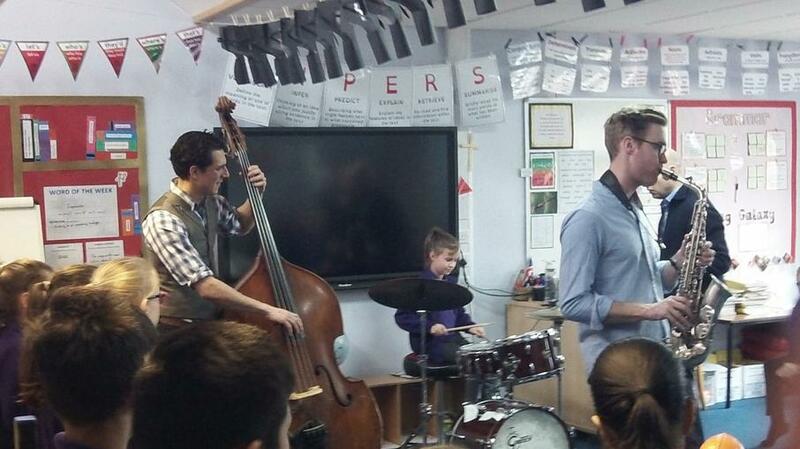 “I liked how they played different music from all around America,” Chloe (Y4). 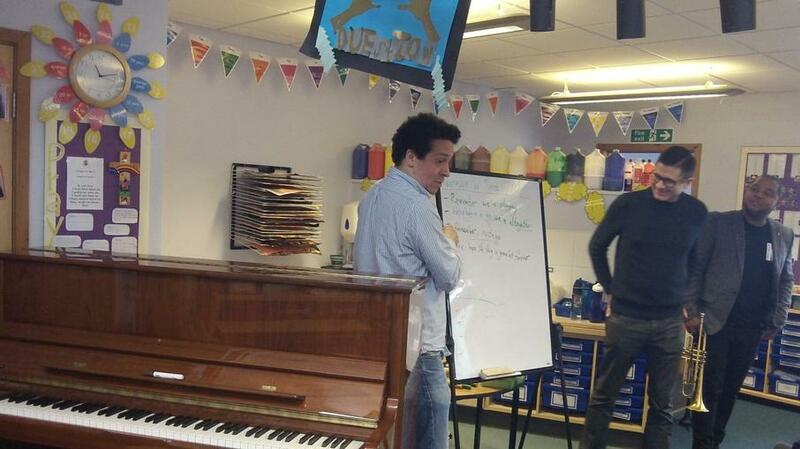 “They were an amazing band!” Evie (Y4). “It made me want to sing and dance,” Beau (Y3). 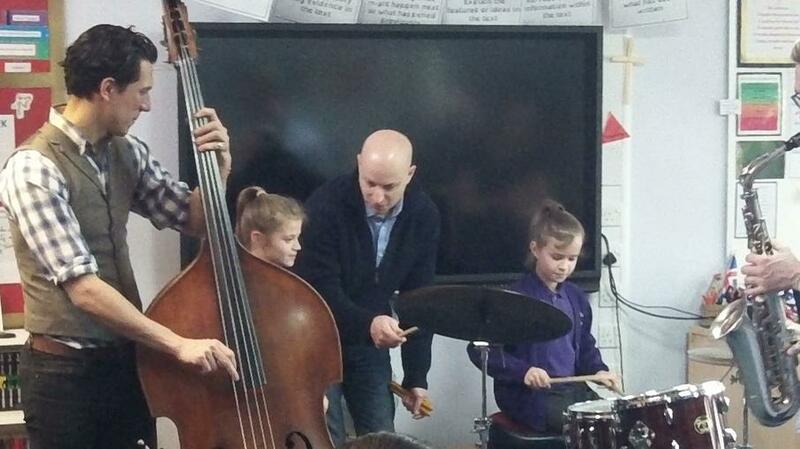 “I liked the mixture of the double bass with all the instruments playing together. The blues ensemble payed in unison,” Tegan (Y3). “It was remarkable!” Arvids (Y3). If you would like to hear some recordings from the day, please visit our 'Music At The Vine' page!